A champion boat racer, Cameron Quinn traveled the world spending his winnings on champagne and women. But when his dying father calls him home to care for Seth, a troubled young boy not unlike Cameron once was, his life changes overnight. . . After years of independence, Cameron has to learn to live with his brothers again, while he struggles with cooking, cleaning, and caring for a difficult boy. Old rivalries and new resentments flare between Cameron and his brothers, but they try to put aside their differences for Seth's sake. In the end, a social worker, as tough as she is beautiful, will decide Seth's fate. She has the power to bring the Quinns together - or tear them apart. . . This is one of my favorite books. have read it so many times. since there is 4 books to the series u have to read all 4 to get the complete picture. This is the worst book I've ever read. It was so unfinished. So predictable. So short. Nothing really happens and you are left wondering why she even published it. I read the book prior to listening to the audio book and there was way too much missing from the abridged version. I love stories written from the male perspective, and this really has such a great tale to tell; however, the abridged version leaves a lot to be desired. Sweet story, but found the abridged version quite choppy. It found it to be overly dissected. The abridged version of this was strange. I have never read this series and I could tell there was a lot missing. I didn't like the end either. 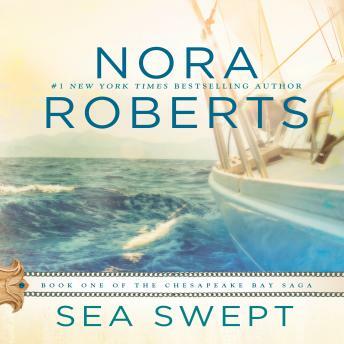 Nora Roberts is great I would listen to any of her books. She has great readers that are easy to listen to. Thoroughly enjoyed this abridged version; I haven't read the book in a VERY long time, so I didn't notice anything missing. The story was great!